Though we can’t all pack our bags and head off to Paris when a hankering for French culture arises, it is within our ability to be transported by a single bite of a flaky and light, buttery croissant. Or how about Raspberry Croissant Pudding? 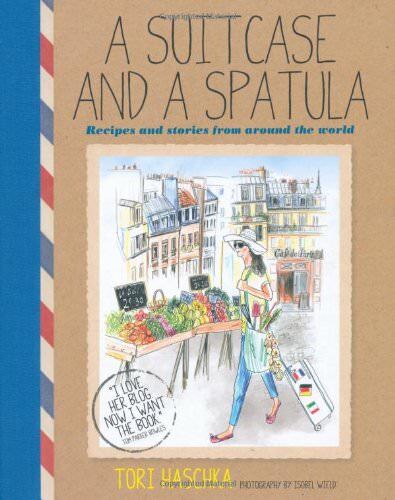 This is exactly what food and travel writer Tori Haschka wants to give her readers in A Suitcase and a Spatula. Her recipes make even the most far-off travel destinations accessible, all through the sense of taste. Haschka believes, just as I do, that our palates have a direct connection to our memories and imaginations. Highlighting the ingredients and flavors exclusive to the destination, Haschka uses her recipes to carve out and put on display the region’s cultural landscape. Peppers spiced with the heat of a red chili in Baked Moroccan Eggs evokes the warmth of the coast of Agadir, while the distinctive bitterness of the liqueur in her recipe for Sardines with Campari, Peach and Fennel raises images of enjoying a Spritz or Bellini in a Venetian Bar. The dish itself is pictured plated simply atop a white dish, allowing its brightness of color and flavor to take focus among vintage china plates stacked to the side. A Suitcase and a Spatula lets you take a vacation from your kitchen, allowing you to experience the food and world beyond your stovetop. Tori Haschka provides you with two invaluable gifts: a life well-traveled and a body well-fed. I will never take an onion for granted again. Although they seem like a commodity – always available in the grocery store, a staple in my kitchen, and with the exception of a few seasonal varietals like Vidalias, they are never out of season. The care and skill needed to provide continuous onion production requires experience of the sort that is only earned from very hard work. Dale Gillis, owner of Gillis Farms in Arrey, New Mexico schooled me in onion farming. On his 4000 acres farm he grows onions and chili peppers (referred to as chilis). Only 1000 acres are dedicated to onions as Gillis Farm practices traditional crop rotation. One of the common onion diseases from overplanting is called pink root. To avoid pink root, Dale rotates his onion crop with corn, sudan grass, and alfalfa which all clean the soil, replenish nutrients and keeps his onions disease-free. 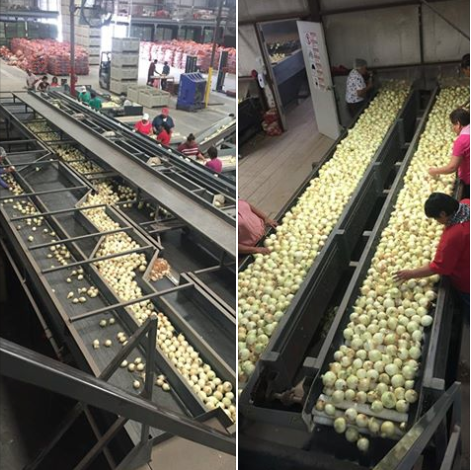 For the most part onion farming is labor intensive. Dale’s fields are hand-weeded and harvested. During harvest, Dale employs up to 500 people. The only insecticide used is to combat onion thrips, which is the major insect pest of the onion. Weeds are solely managed by hand. Gillis Farm is in the high desert of New Mexico where winters are mild and summer temperatures average around 100 degrees. While this sounds harsh, it is ideal climate for onions. 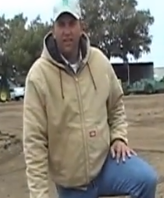 Dale claims that wet, damp conditions produce root rot. In fact, at harvest time, Dale likes it hot and dry. Dale plants 40-48 different varieties of onions, mostly yellow with some whites and reds as well. The varieties are selected to spread the harvest over as long a period as possible to insure continuous production. Dale begins harvesting on May 20th and continues until late August. Onions planted on September 15th, for instance are harvested mid-June. Dales’ 1000 acres produces 1.2 million 50 pound bags of onions. That’s 60 million pounds!!! Dales’ onions are sold directly to the supermarket chains including Walmart. Dale proudly holds the mantel of his farming roots. His great grandparents arrived in New Mexico from Germany in 1918 and began the farm, which has been passed down to his grandparents, his parents and now he, and his brother and sister, with the 5th generation coming on strong. His son and 2 nephews are beginning to work on the farm and absolutely love it. In fact, Dales’ son is getting a degree in Ag Business. When I asked Dale if he ate onions, he chuckled and actually said, “ Not many! Because at harvest time everything smells like an onion – my truck, my bed, my body.” He does, however, eat a fair amount of chilis. His favorite meal is steak with green chilis. He shared that growing up and even now, meals were simple – grilled meat, grilled onions and chilis, with peach cobbler for dessert. Another favorite was called Green Chili Stew, which was a stew of steak pieces, chilis, potatoes and onions. His mom served it with a flour tortilla. 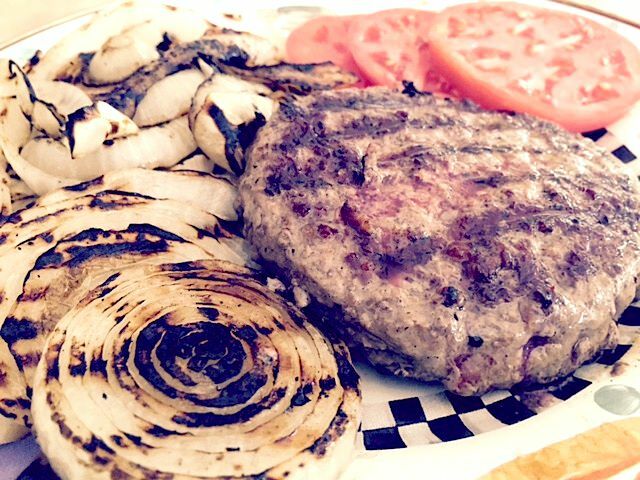 Here is a great recipe for grilled burgers and onions from the National Onion Association. New Mexicans are very particular about their chilis. You are either a red or a green chili person. Dale is a green chili person! One curious fact about the chilis Dale grows is that 20% of them are grown for color. Who knew? The chilis grown for color have no heat index. The red is extracted as a powder and is found in cosmetics and even cheese. The other 80% of the chilis are all dehydrated and sold in small packages. They range on the heat scale from mild to extra hot. The chili growing offers excellent crop diversification for Gillis Farm. As one might imagine, weather is either a farmer’s friend or foe. Having more than one crop is a hedge against the potential ravages of weather. I would be remiss if I didn't share a New Mexican Chile recipe. Click this link for Green Chile Stew from the Santa Fe School of Cooking. When I finished my interview with Dale, I just sat for a few moments. I knew I had spoken to a hard-working, salt-of-the-earth gentleman – of few words, yet quite communicative. His years of hard work, generational knowledge and love of farming produce the onions I have so cavalierly stored in my onion basket. Now when I hold that sphere, I honor it as it exists in all its perfect splendor because of people like Dale Gillis. Thank you Dale! Enjoy Dale on Heirloom Meals Radio too! Disclosure: I was compensated by the National Onion Association for this post. All opinions are my own. We all have that favorite spot -- the breakfast place around the corner, the coffee shop up the street, the bakery with the awe-inspiring case of baked goods staring back at you. Joanne Chang’s Flour Bakery + Café in Boston is all of these, but it has established itself beyond sweets and breakfast confections alone. 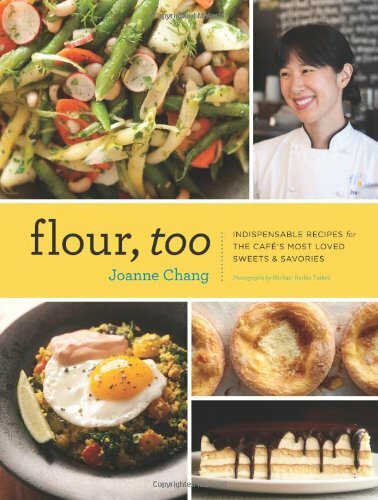 Flour, Too is Chang’s second cookbook, following the success of her first, Flour. Though recipes categorized under “Sweets” and “Desserts” dominate its pages, the cookbook spreads its focus to the savory as well. With recipes like the Classic Split Green Pea with Smoked Ham soup or the Mushroom and Leek Lasagna with Creamy Béchamel, you quickly gain the sense that Chang isn’t trying to overwhelm your sweet tooth, but rather provide you with the comfort and nourishment of food. You can mimic the most loyal of Flour’s customers and use the book to follow the daily experience of the bakery. Start with a stack of CJ’s Spiced Banana Pancakes, which are perfectly moist and not overly-sweet from the natural flavorings of the fruit and are matched with the underlying smokiness of allspice and black pepper. A drizzle of maple syrup as the accompanying image suggests is all you need to make resisting these fluffy delicacies impossible. You can take the savory route for lunch with an updated American classic -- the Applewood Smoked BLT. Chang complements the salty-sweet bacon with the added pepperiness of the arugula. Dinner can become a more complex affair, beginning with the colorful Heirloom Tomato Salad, stepped up with feta, watermelon, and a delicious Red Wine Vinaigrette. The main dish options include a Slow-Baked Atlantic Salmon with Tabouli, whose inventive cooking method gives the fish, as Chang puts it, “a delicate, buttery texture and flavor.” End the evening just as you began, with a small, two-bite French Macaron. Crisp and light, satisfyingly sweet. Flour, Too invites us to sample a sugar-specked brioche and instills a desire to test the elasticity of Chang’s focaccia dough. Every page is a representation of the ease and contentment enjoyed in passing the time at one of the Flour locations. Use the book to bring to your kitchen the iconic smells and tastes of the bakery -- a place many people already consider home. What a summer! I promise to write a blog post and share the gamut of experiences that rolled through my life. Suffice it to say, I have been sad, afraid, elated, and now proud. Proud to announce the official launch of the Heirloom Meals Recipe Project. The pilot program exceeded my wildest imagination. We wrote, we shared, we cried, we laughed, we bonded, we created. Our final products are getting their finishing edits and then everyone will have their very own heirloom family cookbook. The program was satisfying on so many levels!! Here is the link to everything you need to know. (I am working on creating a new section for workshops but for now the blog post will have to do!!) I hope to see you in the September 10th class or the others I have scheduled. Also - check out my recent interview with Dale Gillis as a result of working with the National Onion Association! Food memoirs are among my favorite genres. They connect food to our relationships, experiences, and lives. 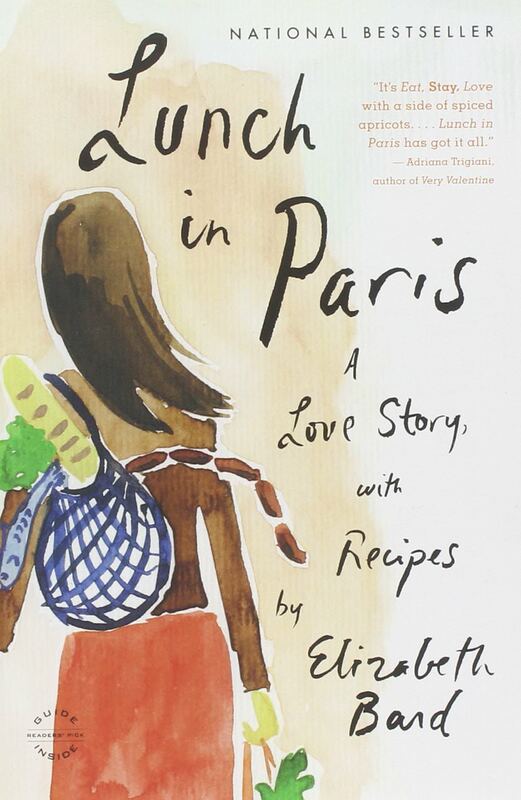 Elizabeth Bard follows this in her first book Lunch in Paris, by interspersing the memories of falling in love with a charming Frenchman, Gwendal, with traces of her culinary journey marked by recipes of her past and the ones she gains along with embracing a new culture. The dishes are inspired by the fresh ingredients from Parisian markets; they contrast the fussy, complicated reputation of typical French fare. This focus allows Bard to not only write about international cuisine, but about international living, and how she discovers French culture from her time around the table, whether it be during a meal, at a market, in a restaurant, or only in a single taste itself. The recipe for Gwendal’s grandmother’s, Mary Simone’s, tabouleh, shows the memoir’s function as a family recipe book, giving the tricks of culinary techniques passed down through generations. The secret to this dish is replacing the bulgur with couscous, lightening the salad and mixing well with the acidic, slightly sweet taste that Bard confessed to me she loves. This coming-together of the savory and sweet shows the gustatory connectivity of food, but in Bard’s descriptions of food and the narrative that follows it, we discover the French culture alongside her own discovery of their passion for cuisine: for good, simple food done right. Her new book Picnic in Provence, came out this spring. I can’t wait to read it and share my thoughts with you!